We are pleased to provide a full range of services to both private and corporate clients. Jules Maeght Gallery is available as a rental facility for private events. It provides an intimate, already curated space, for cocktail receptions, meetings and pop-up events. 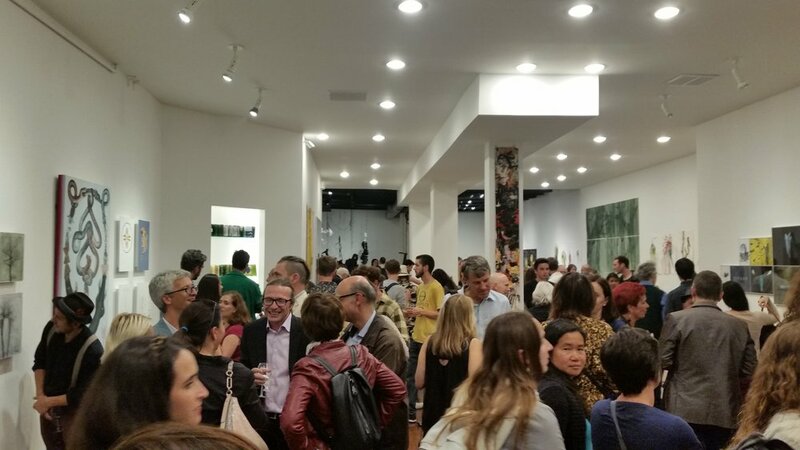 Located in Hayes Valley, at 149 Gough St., the gallery is near many cultural institutions, including the Davies Symphony Hall, Asian Art Museum and SFJAZZ center. It is also within the vicinity of countless bars, restaurants and cafes. Renting artwork can be an important aspect of collecting art, where the goal in purchasing is to buy something that can be lived with. Renting allows time to understand artwork in a personal and intimate context. By renting artwork, collectors have a chance to try out a painting or sculpture. Renting gives corporate spaces the ability to furnish their office spaces. Renting artwork can also be powerful when staging a home for the real estate market, illuminating rooms and adding vibrancy and cultural appeal to spaces. We can meet with you at the gallery or in your home or office and prepare a portfolio that will match your needs and budget. At your request we can facilitate delivery and installation of artworks to your place. Rentals are limited to the Bay Area and are subject to availability. Rental fees can be applied to eventual purchase of relevant piece.